China’s central bank, the People’s Bank of China, normally has a tough job sterilizing foreign exchange while containing inflation and maintaining stable economic growth. These days, however, its job is even more difficult. “Sound” growth must be cultivated while “riskier” growth must be curbed. Keeping inflation, particularly food price inflation, down is also a priority. The trick is, curbing inflation using a traditional tool of open market operations that affect short-term interest rates, the money supply must be reduced. To rein in risky loans, again the money supply must be reduced. To stimulate economic growth, the money supply must be expanded. Simultaneously, the process of sterilization would occur: the central bank would withdraw base money from the economy in exchange for central bank bills or raise the required reserve ratio, shrinking the money supply, and this process may or may not ultimately be effective in maintaining money growth. These actions are complex and often contradictory. In practice, to achieve its diverse objectives, China’s central bank uses a number of traditional tools, including open market operations, a reserve requirement ratio, central bank lending, and benchmark interest rates. Open market operations involve the sale or purchase of bonds in order to change the money supply. The reserve requirement ratio prevents banks from maintaining reserves below this amount of reserves to deposits. Central bank lending includes direct lending to banks in need of liquidity. The benchmark interest rate is a reference interest rate around which other rates fluctuate, usually the one-year deposit rate and the lending rate. 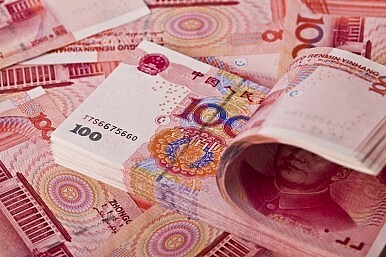 China also has some new tools to add to the traditional monetary policy system. The People’s Bank of China introduced a standing lending facility in 2013, which provides funds to banks facing a liquidity squeeze. The standing lending facility was expanded in January of this year to lend to small and midsize banks in 10 provinces and cities. In addition, relending has been used historically and again today to provide incentives for banks to lower financing costs when lending to targeted sectors. Recently, the central bank has added a new tool, called pledged supplementary lending to help banks target borrowers with collateral. Pledged supplementary lending targets medium-term interest rates and, like relending, avoids the blanket changes to the monetary system that are associated with traditional tools. Some analysts feel that the targeted tools go too far, into the realm of fiscal policy. In particular, the practice of relending and the new pledged supplementary lending tool give preference to specific sectors. However, these tools counteract a long-standing complaint that monetary policy is a blunt instrument. Targeting particular segments of the economy sharpens the policy. And why shouldn’t the central bank go further? After all, it is not independent of the government. Government bodies in China are expected to follow policy mandates, and the central bank is no exception. Perhaps a more salient question is whether these creative monetary tools will allow market forces to emerge, or whether they will perpetuate a financial regime of policy-led lending. One major problem with China’s banks, recognized by analysts for decades now, is that financing is constrained since banks tend to lend to particular enterprises, mainly large and state-owned enterprises. With new, directed lending, market forces continue to be left out of the picture. Less efficient and less profitable enterprises may receive funding while more efficient and more profitable enterprises may be unable to secure a bank loan. In this case, the latter are forced to turn to the shadow banking system to obtain funding. The shadow banking system is, well, shadowy – it may face challenges in controlling for risks, especially since shadow banking loans often come at higher interest rates. This gives rise to adverse selection, in which borrowers who are willing to pay higher interest rates are often riskier firms. An expanding shadow banking system (with the exception of informal finance, in which borrowers and lenders have preexisting relationships) may therefore pose economic risks that banks would be able to control. Doubtless the People’s Bank of China has a difficult task, particularly in a less buoyant economy. The leadership wants to maintain a stable economic growth rate, and this poses a challenge since market forces would otherwise most likely act to pull economic growth down. The central bank is currently playing a major role in balancing the economy. Ironically, to meet long-term financial reform goals that entail opening up to market forces, the central bank must be less involved in targeting individual sectors. The impact of less directed lending will be more financial capital available to other enterprises, hopefully those that are efficient enough to remain strong during the next economic downturn.